The HS(not)F 2015 – it’s on! Thank you all for your input on the HSF ’14 and what you want from the HSF ’15. I really appreciated your feedback, insights, and (most of all), encouragement. 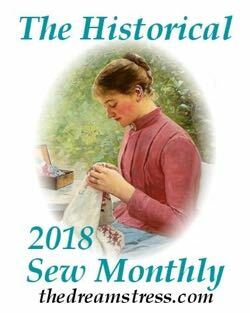 I’m thrilled that so many of you are getting so much out of the Historical Sew Fortnightly, and that so many of you would like it to continue in some form next year. 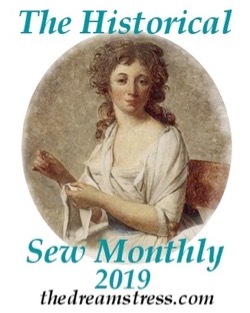 There will be a Historical Sew Fortnightly 2015, but it will not be the HSF – we’re cutting the challenges down from 24 to 12, so 2015 will be the year of the Historical Sew Monthly, with challenges due on the last day of every month. Hopefully that means a lot more people will be able to participate, a lot more people will do EVERY challenge, and we’ll all be able to devote more time to really researching and making really beautifully made and thought out garments. I can’t wait to see them! If you really, really want to do more than 12 challenges, you can always go back and do 2013 or 2014 again! A lot of you suggested delegating, or getting the whole group to decide on everything, and while that sounds like a great idea, anyone who has ever managed a committee (or done group work in school) can tell you that unless you have exactly the right group, it’s way easier to do a lot of things yourself! But there will be a little bit of delegating and a small committee. Sarah & Elizabeth have been fantastic to work with this year (So fantastic. Even better than I could possibly have hoped. Please pop over to their blogs and tell them thank you too! ), so I am very, very pleased to have them onboard again next year. And we will be getting a few other people onboard this year as FB moderators and to fill other roles. But it has to stay really small and tight, because me spending all my time answering emails and questions and managing people is way harder and less fun than writing inspiration posts. – Beyond the personal satisfaction of making a beautiful item, I think the biggest thing many of us want is acknowledgement for our work. So the best possible thing you can do as a HSF participant is to follow links to finished items through the project page comments, and read and leave a comment on peoples blogs, and to comment on photos of finished items in the HSF facebook albums. This also has the added benefit of making the HSF community even stronger, as you all get to know each other more, and that would be fabulous. – Feel free to write your own favourites posts. Anyone is welcome to make lists of things you think are awesome! -If someone wants to volunteer to assemble a list of participating blogs, and email it to me in HTML, I’m happy to host it here, but I won’t be compiling the list myself this year. – I’m going to write a post at the end of the year asking for participants to leave comments with links to all their finished projects – so we have a list of all the participants. Please do come back and leave your comment when it comes up! – I’m sure I’ll think of more, but I don’t want to overwhelm all of us all at once! Unfortunately there will be no democracy at all in challenges this year, because the Fortnightliers Choice takes too much time and energy to coordinate. Thinking up all the other challenges for 2014 and writing descriptions was easy, and took approximately 3% as much time as coordinating the Fortnightliers Choice challenge. But we will be using lots of the ideas that were suggested for Fortnightliers Choice last year, so you’re all included that way! And the challenges are meant to be CHALLENGES – they are meant to push our boundaries as sewers/creators/historians, and push our taste and idea boundaries. 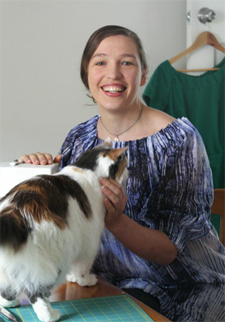 I learned a lot having to make things I wasn’t keen on in the Sew Weekly, and I learn a lot having to make class samples for items I would never have thought I would wear or make. One of the things I often learn is that I actually love the item, or am at least pleased I attempted it. I really believe in the idea of trying things that you don’t like, and usually wouldn’t think to make, and not just staying within a usual, safe groove. Unless we try things we don’t like, and challenge our ingrained perceptions, we can’t grow as people. The HSF is meant to encourage all kinds of growth. So in 2013 and 2014 there was a challenge I haven’t personally been keen on, but that I jump into to keep in the spirit of it, and next year will be no different. And there will probably be ones next year you don’t like, but hopefully you’ll do them anyway, in the spirit of the HSF! Facebook vs. Blogs vs. Message Boards. The HSF will not and will never be a Facebook only group/challenge/event/thingumy. Why not? First, the FB group takes the most time, and is the least fun for me. Running my blog is easy, and really rewarding, the FB group is a constant headache as FB changes things, spammers and trolls get in, and people ask the moderators to deal with personal spats. Second, and far more importantly, the FB format encourages shorter, fluffier conversations, and doesn’t preserve information. The same questions get asked multiple times, because the old questions, with all the links and information that people have supplied, disappear down the page. Or a question gets asked, and people keep giving the same answers, or missing clarifications to the questions, because FB has hidden earlier replies. Blogs are a MUCH better way to provide lasting information and references, and to have extensive, informative posts and really in-depth conversations, and I have seen a lot of that happen on HSF blogs over the last two years (you just have to get away from FB and look for it!). Although I am frustrated by its limitations, I amm really pleased that the FB message board is so popular, active, and vibrant and I think that’s a great thing. Thank you everyone who contributes to it! I love the idea of a HSF message board, but I’ve seen too many historical message boards fade and die, and I’m worried it might do the same. Unless I could afford to set up a website with its own message board (and 24/7 tech support, so REALLY, REALLY expensive) I’d probably pass. Now that you know there will only be 12, you are all probably wondering what the challenges will be. Sarah, Elizabeth & I aren’t quite ready to announce them, but they will be out soon. For now, you can get excited about January’s challenge. The first challenge of the year, due by the 31st of Jan, is Foundations: make something that is the foundation of an outfit (however you interpret that). I hope some of you are excited about participating – I’m definitely back to being excited! I’ve been quietley watching HSF for the last couple of years wishing I could squeeze it into my world. I have barely managed to keep up with reading the odd blog post. But with the new HSM I’m going to jump on board although it might only be to finish WIP’s. I am also happy to put my hand to up to set up a spreadsheet on Google Docs where everyone can enter their blog info and link back to it from their own blogs. Great decisions on how to move forward for 2015 and I am keeping my fingers crossed I get it together to join in for a change. I fully intend to participate this year and love the changes you’ve made. Once a month is much more doable for me, not overwhelming at all. If no one else compiles the list for you I’d be happy to jump on board. One request I would like to make for the future though, could we include the 50’s at some point? 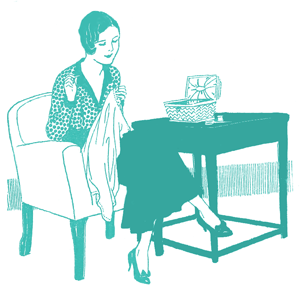 I was so excited to make a circle skirt or petticoat for the first challenge but then I read it closer and saw that it limits our timeline to pre-WWII. It was a bit of a bummer for me as I was hoping to expand my wardrobe to include 50’s style specifically. I love the 40’s too so it’s not going to exclude me from participating or anything. However, if this ever changes I would be so happy to work on the clothing I’m especially passionate about. Either way I’m sure it’s going to be a great year! I just happened by because I was researching “quirks” and “glove making”. Your site showed up on Google and here I am~! What a treasure-trove of links to past projects and interesting skills~! I will follow this with great interest through the year as I look back into your archives.